This cute large “foodie” plate which is inlaid in a vibrant green typewriter font against bright white porcelain is the perfect gift for any food lover! 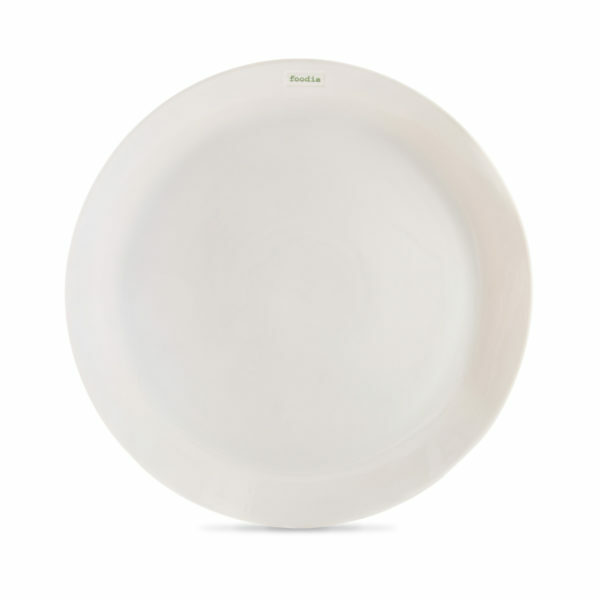 This beautiful plate was designed in the UK by renowned ceramist Keith Brymer Jones. This cute large “foodie” plate which is inlaid in a vibrant green typewriter font against bright white porcelain is the perfect gift for any food lover! Or this plate could be a lovely treat for yourself. The large plate is great as a standalone piece but is also perfect accompanied with other products from the Keith Brymer Jones Word Range. Keith first started to develop the Word Range 30 years ago in his first personal studio in North London. Keith started out as a production potter where he would throw up to 1,000 bespoke pieces a day for leading high-street brands such as Habitat and Laura Ashley to name a few. Keith has also participated in the BBC’s Great Pottery Throw Down as one of the leading judges. The Word Range is simple and elegant and is perfect for any modern home. 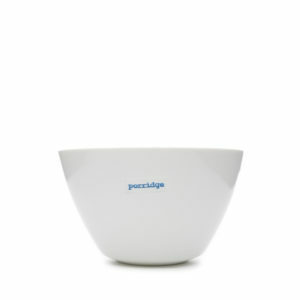 Every piece in the Word Range is microwave and dishwasher safe making the ceramics practical and stylish.